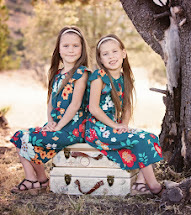 Last summer I stumbled upon a blog called Play At Home Mom. 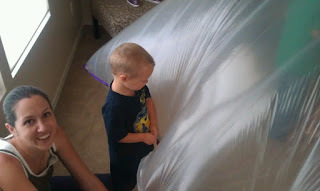 Since then, I have been the coolest mom ever (according to Matthew) for snagging some great ideas for sensory play. 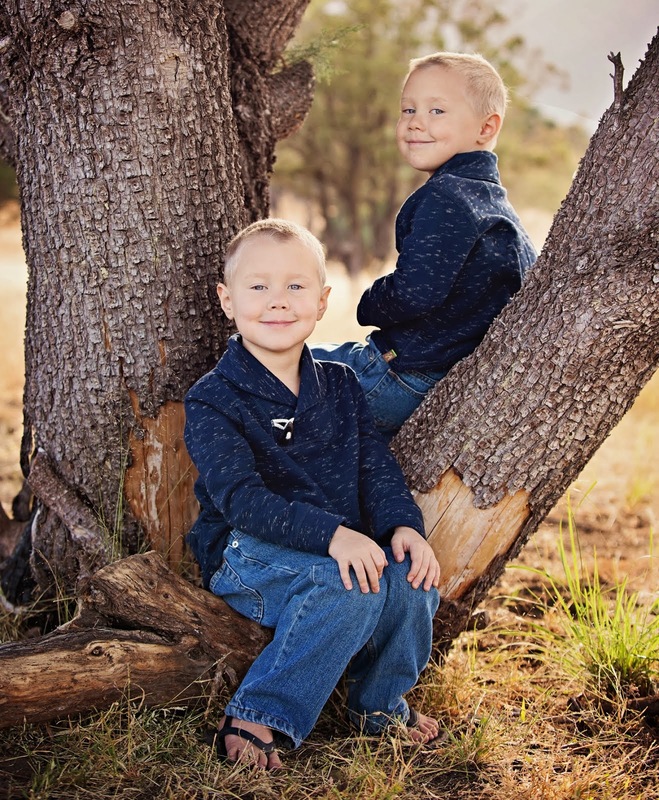 We have made our own play dough and finger paints, taken baths in the dark with glow necklaces, and colored life-size murals on the wall in our backyard. Before we left Washington, we had fun in our empty house during the move. 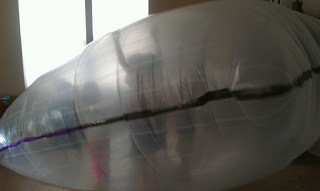 I taped together two painting tarps to make a giant plastic bubble and we used a fan to blow it up. 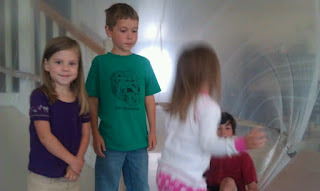 Then the kids (and I, briefly) got inside. 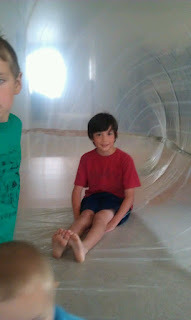 We brought some balls into the bubble and the kids rolled and jumped around until the plastic was completely shredded. It was a lot of fun! 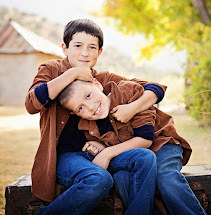 Recently I found a great idea on Pinterest that also earned me the title of "coolest mom" according to Matthew. 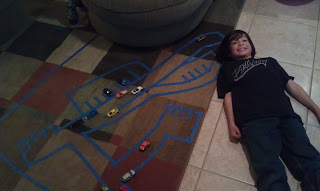 I gave Matthew a roll of blue painters tape and let him create a road across the living room floor. (For an Aspie with an intense car obsession, this was the equivalent of winning the lottery!) The tape peels up easily and of course there are unlimited options for creating roads across floors, furniture, and even walls. I'm always looking for new ideas when it comes to creative play. Even with 6 children in the house, it is inevitable that someone will declare their boredom on a sunny afternoon and "why don't you play in the backyard?" only works so many times.